A country cannot be governed with MPs switching parties or abandoning their own and with promises to wandering MPs. 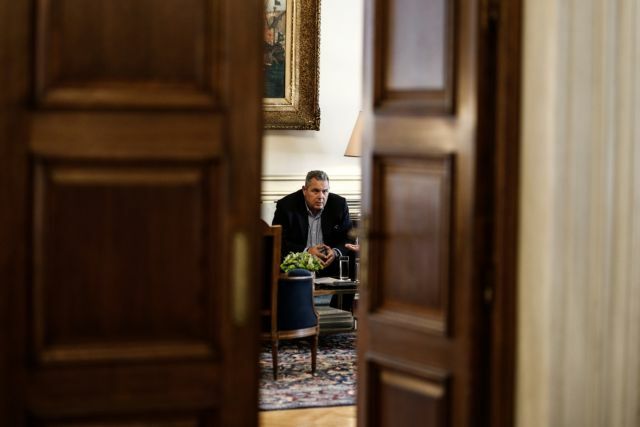 What has been happening within the ranks of the Syriza-Independent Greeks government between the two coalition partners over the last days has exceeded the boundaries of tragicomedy. There are constant threats and accusations of apostasy (MPs jumping from the Independent Greeks to other parties, especially SYRIZA) stemming from the Greece-FYROM Prespa accord, which is fiercely opposed by the Independent Greeks. There can no longer be any doubt about the definitive rupture between the two coalition parties. The era of warm embraces between PM Alexis Tsipras and Independent Greeks leader Panos Kammenos appears to have passed, despite their mutual passion for power. The populism, intrigue, and targeting of political opponents that held them together until now are crumbling due to their incompatible political and electoral interests. Of course, even in the final stretch they are taking care to serve their own and others’ interests by tabling various legislative amendments in parliament. Yesterday, they submitted a piece of legislation regarding the offsets from the deal to upgrade Greece’s fleet of F16 fighter planes. It is obvious that a government being blackmailed by its junior coalition partner cannot continue to serve the interests of the country. This is especially true at a time that the country is facing a number of challenges, even as it struggles to confront a tough confluence of events on both the economic and the geopolitical fronts. 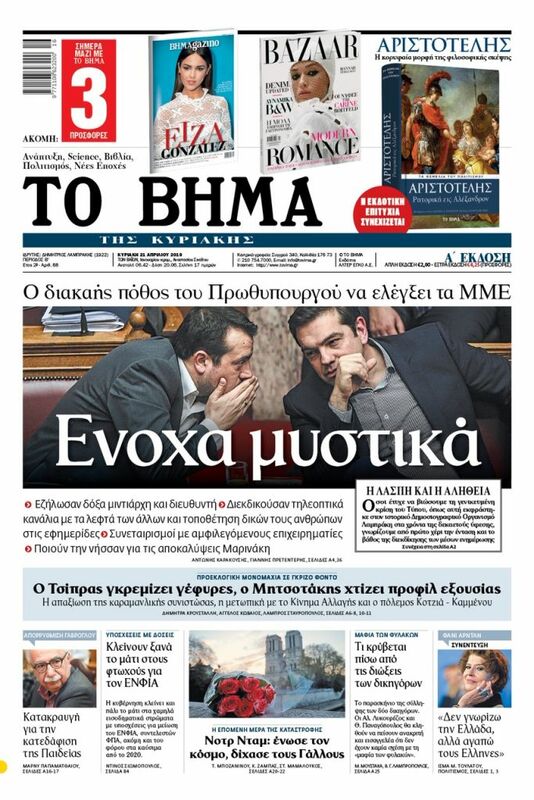 It is tragic that Mr. Tsipras must wait for his partner to decide before he can grant an interview. With what kind of decisiveness and plan can he manage the country’s day-to-day problems when even he does not know what parliamentray majority he is counting on? This farce must end as soon as possible. Political uncertainty undermines the country’s immediate future and imperils what has been achieved until now through the enormous sacrifices of the Greek people. There is a clear danger that the power games between Tsipras and Kammenos will drag the country and the economy into a new adventure. Backroom deals cannot resolve this looming impasse. The ongoing ping-pong of irresponsibility must cease post haste. The only way to resolve the current quagmire is to call elections.